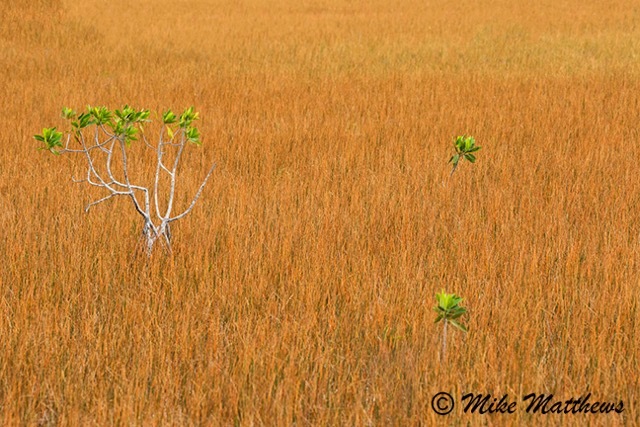 This week’s images are the conclusion of our three day trip to the southeast coast of Florida in the southern part of the Everglades. One of our favorite trails was the Gumbo Limbo trail where there are several types of habitats coming together in one location. The canal that borders the sawgrass and mangrove flats is full of wading birds and all types of wildlife. 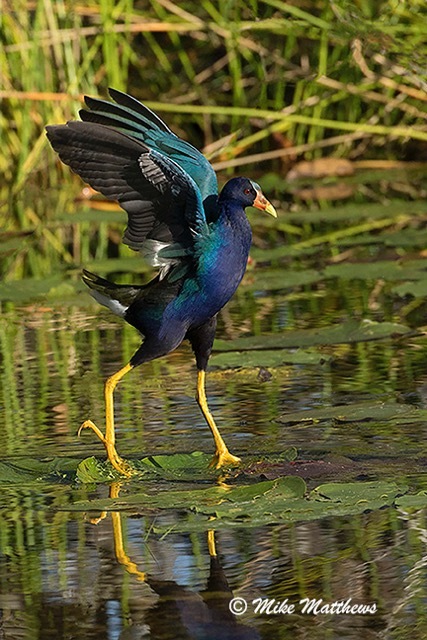 To me, the Purple Gallinule is one of the most interesting birds to watch as they walk across the water lilies in search of food. This particular one was almost dancing on the water as the lily pads gave way from its weight as it walked. The Cormorants are fairly common there and are not that colorful. But their eyes are a total different story. 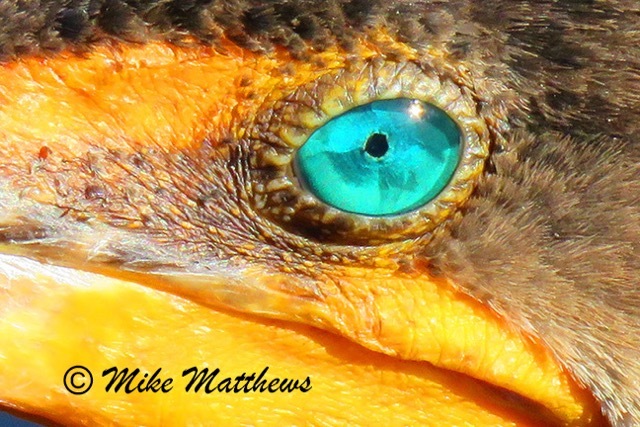 This particular Cormorant kept looking back at me as I approached him, and his eye reminded me of the turquoise waters of the Caribbean. 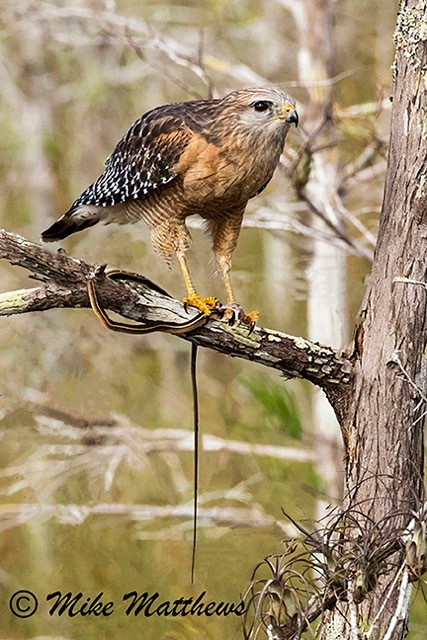 While on another trail, we were fortunate enough to see a Red Shouldered hawk fly down and catch a Ribbon snake and bring him back to a tree branch for a quick lunch. The Everglades is a wonderful National Park, and a place we highly recommend visiting. I hope you enjoy this week’s photos.